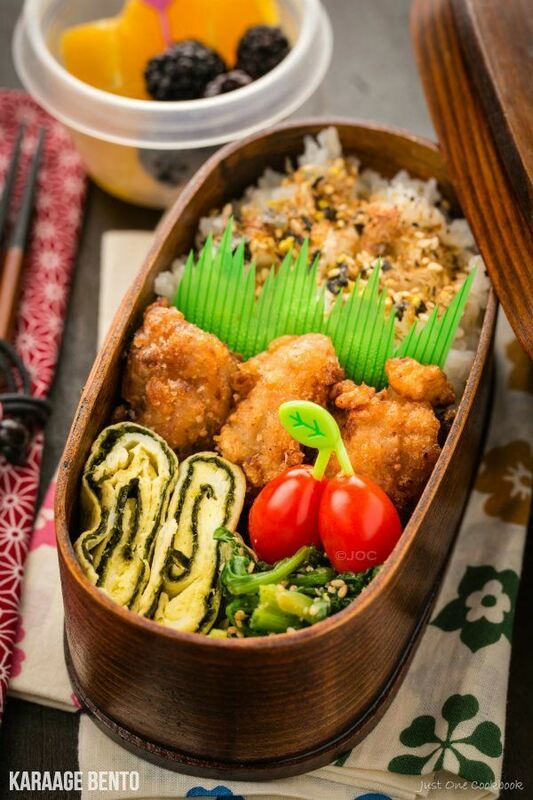 Delicious Bento Box Idea: Shio Koji Karaage Bento. 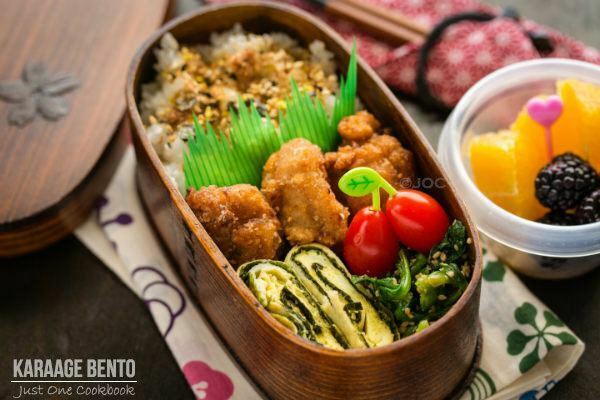 In this bento box, you have golden crunchy chicken with tamagoyaki (Japanese rolled omelette) and spinach gomaae, along with fruits and grape tomatoes for a colorful lunch. Of all the different versions of karaage I’ve made so far, I love the one marinated in Shio Koji. My kids love it when they see these golden crispy chicken in their bento box. 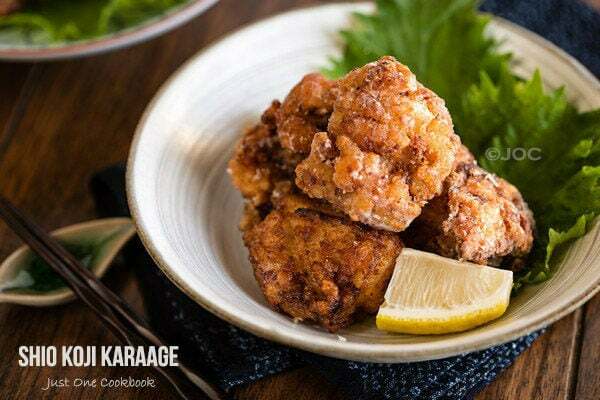 These karaage taste wonderful even at the room temperature. Pack a few more dishes in the bento box to make a healthy balanced lunch for yourself or your family! On previous day, dinner was: Shio Koji Karaage. Yep… the best karaage everrrrr! I often get questioned from readers: “Do deep fried foods taste good at room temperature?” As I grew up eating bento and they were always served at room temperature, I am used to the taste. When you are in Japan, you will notice that most bentos are served at room temperature, even when they include foods that are typically served warm or hot in restaurants or at home. Pack steamed rice in 1/2 of bento box and let it cool. Reheat Shio Koji Karaage in the oven toaster till crispy outside and heated through inside. Meanwhile, make Quick & Easy Tamagoyaki and let it cool. When Karaage and Tamagoyaki cools down, pack them in bento box along with grape tomatoes and Spinach Gomaae. Sprinkle furikake on top of rice. You can buy a Magewappa Bento Box from this online store that ships internationally. 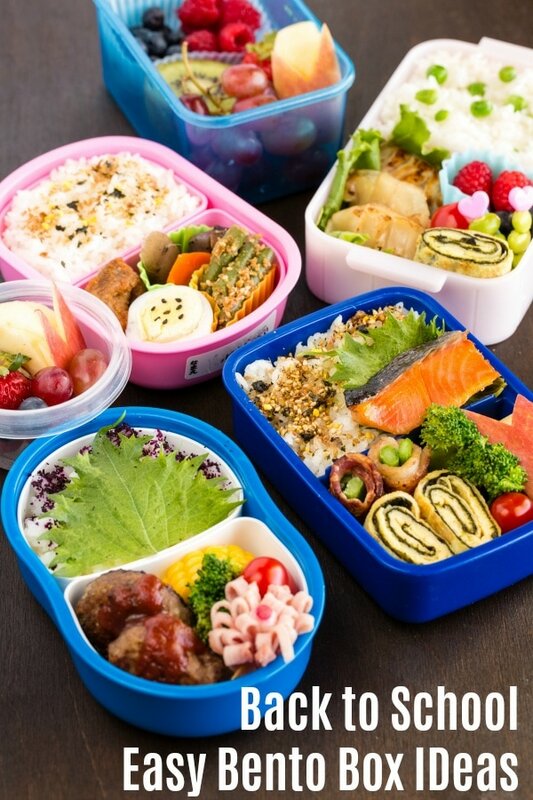 Here are some helpful tips and tools on how to make healthy and colorful Bento! Such great tips for putting together the perfect bento! The spinach gomaae looks absolutely amazing – something I know my husband would love, too. Also interesting to note that bento is generally eaten at room temperature – that’s great news for me, as I always find I can taste things better when they’re not piping hot. As always, Nami your bento looks incredible! What a gorgeous clicks…wow! I just want to eat it off the screen! I wish you and your fam prosperous, healthy and happy Lunar New Year! Will you just make my lunch for me, please? Another fabulous looking bento! When do you even get the time to click those pictures! I am panting by the time I get the kids out of the door, lol! Lovely bento! 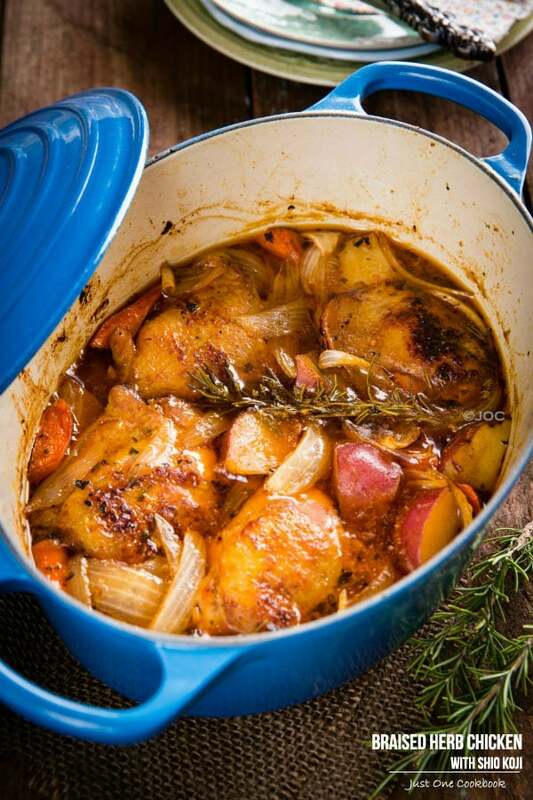 And great tips on how to prepare food so it’s tastier at room temperature. Just an all-around good post — thanks. This bento looks so colorful and delicious, Nami. I’d love to have this for lunch! Dear Nami, what an amazing bento – by the way, the box that you used for this post looks so elegant! I love all the different components of this fabulous lunch – it looks so healthy and delicious! 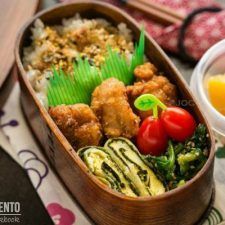 Just perfect for kids and grown ups too (at least I would be thrilled to enjoy such a wonderful bento box lunch)! Take care – hope all is well with you and the children! Your videos are fantastic, too, so fun to watch! 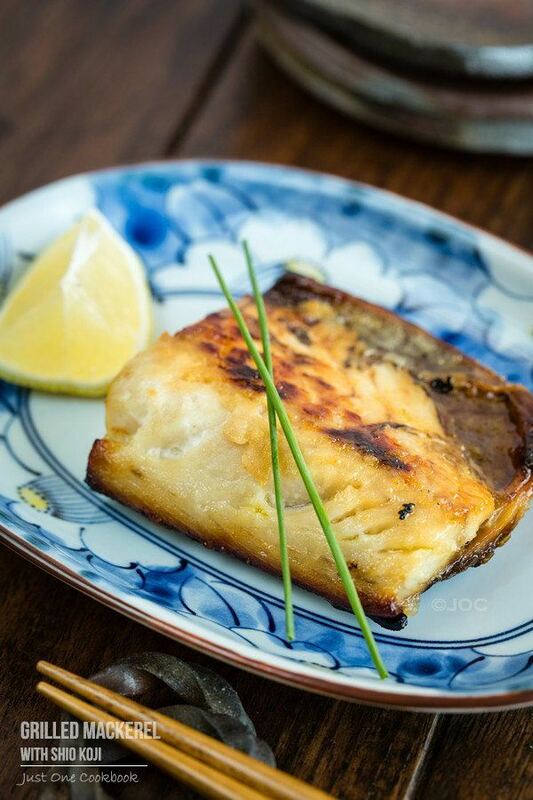 You bentos look amazing, Nami! And they’re healty and delicious, too! 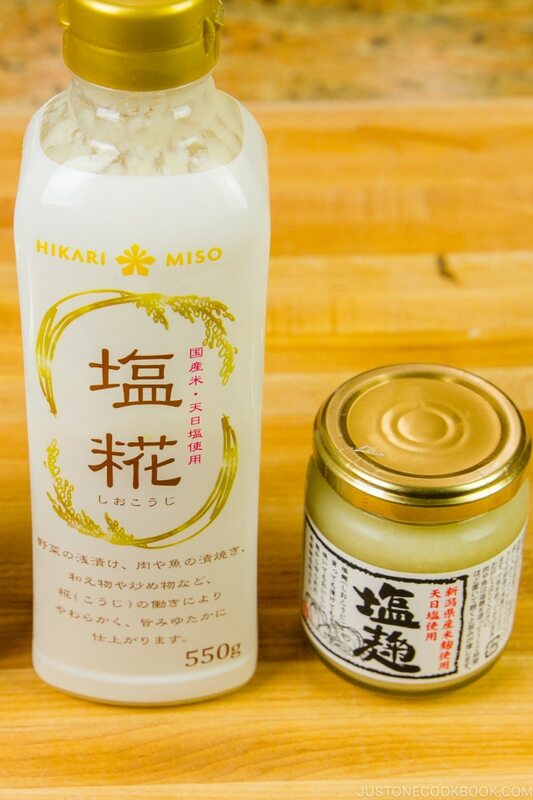 looks delicious, I have yet to try cooking with shio koji. Happy Lunar New Year to you and your family! Wow, amazing! Your bentos look so delicious always…I wish I could taste one of these bentos. The wonderful karaage in it makes it all the more appealing. This is a complete dish. YUM! This makes my mouth water just to look at it. I have tried to make tamagoyaki and have been unsuccessful, so seeing this along with the yummy shio koji karaage makes me want to have you come and make me lunch. Please! I have yet to get my bentos looking as good as yours. I am simply loving the texture of your fried chicken; I can not go past a good lunch of rice and chicken. I really hope you had a wonderful lunar new year with lots of happy food, family and full of good fortune! 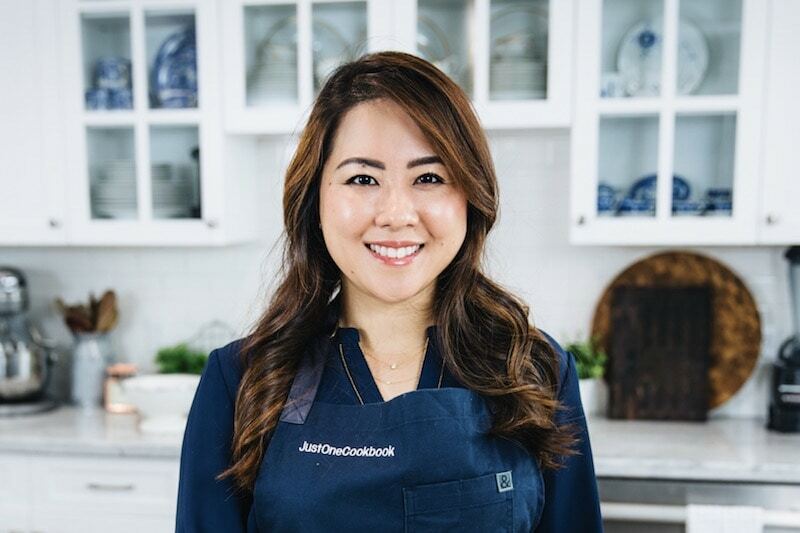 I am learning so much about Japanese food through your posts! Oh, I wish I could eat it every day! And, I wish I had a couple of good Japanese restaurants in my area! Beautiful Bento… I love the karaage… and the other components. They all make for a very satisfying and delicious meal. Thank you, thank you, thank you for your website. I’m an American living with my Japanese boyfriend in Japan and I have been challenging myself to make meals that are more than just staples I’m familiar with. You’ve helped me out immensely and I really appreciate it (he does, too). Thanks again, you’re a life saver. Hi Emily! Aww thank YOU for reading my blog! 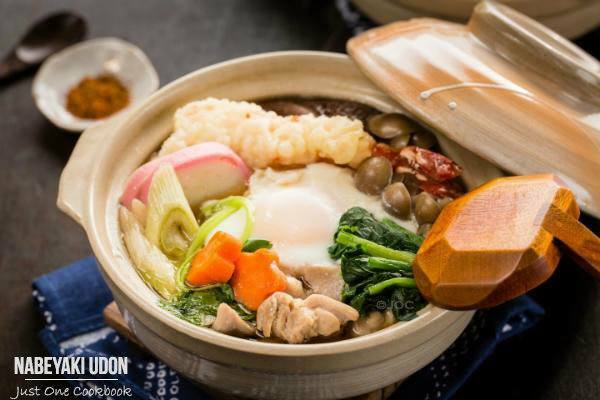 Oh I’m jealous – you have all the ingredients you need to cook Japanese food! 🙂 Good luck with cooking Japanese food! Nami, If my mom pampered me when I was a kid by making yummy bento lunchboxes like yours , I wouldn’t be as naughty! 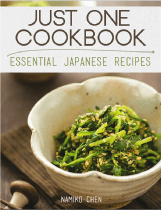 That looks a bit intimidating, but seeing the recipes separately makes it more approachable. Those props look great. Did you bring them from Japan? Another fabulous looking (and tasting) bento. 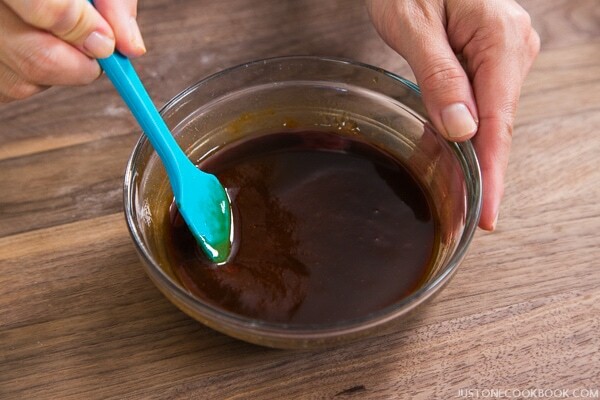 Great tips on how to enjoy room temperature food. I would love to have this bento prepared for me even if I don’t have to go to school. That crispy chicken in the middle is so attractive and you arranged all the other sides so well, it is so pretty. Thanks for sharing this bento idea, Nami. Have a good weekend! Sometimes is strange to have deep fried food at room temperature, but you know what, sometimes we eat it colder than that and as you said, it’s how we used too eat food. Your pictures make me so hungry! Wish I had this bento for lunch. My goal this year is to cook at home more since I go out (especially for Japanese food) too much. 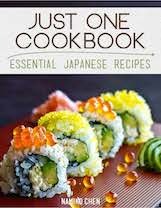 I will be trying the tamagoyaki recipe this week. Love, love, love your bento series and of course your photography 🙂 :)!! I own the same bento box and it’s one of my favourites :). I’m sitting on my clinic canteen right now and your photograph gaining my apetite Nami…. I want to visit my grandchildren in Atlanta and make them lunch after seeing this wonderful chicken. Wow, it looks so crunchy and delicious. 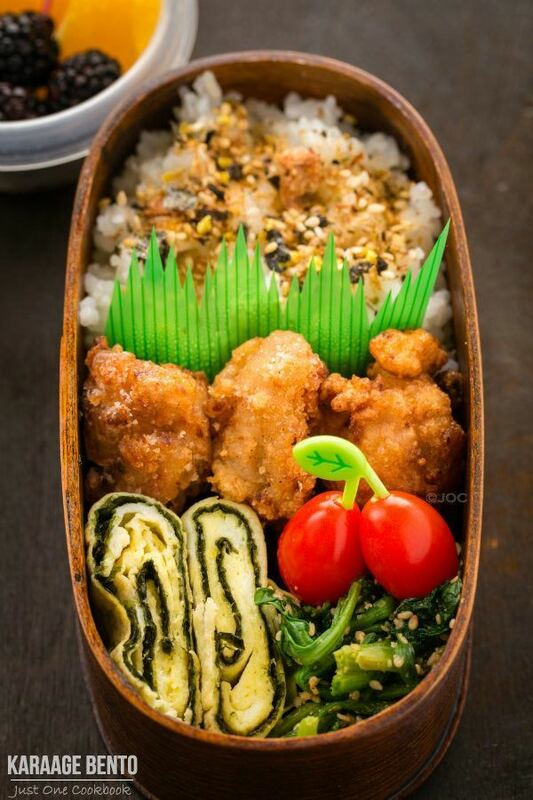 Your bentos look like they`re in those Japanese magazines where they feature really cute bento box ideas! I love the rice seasoning you added for this particular bento. I really must look for shio koji or koji… Your posts make me more and more curious. This is one of my favourite bentos (because of karaage and tamagoyaki of course 😉 ). I think I’d be pretty darn pleased as well if I got some crispy, golden chicken in my lunchbox. I usually pack a boring old sandwich when I’m having lunch out. It’s hard to do more than that at the moment, but hopefully I’ll be able to get back in the habit of taking proper food again soon! Wow, I love all those flavor combinations! I think we eat more room temperature food than piping hot. A couple of weeks ago while I was in TJ Maxx the sales associates were replenishing the shelves and one had a Bento Box in her hand and asked her co-worker if she knew what it was for. I was too chicken to add my two cents worth, LOL!!! Your bento meal looks so appealing and makes one look forward to meal time everyday! im seventeen and i use the karaage recipe all the time for lunches and dinners when i go to work! actually, today we ran out of chicken so i used cubed beef instead. it has the same flavor, though the beef doesnt hold it as well. I just thought id put that out there for those of you for when you have a craving for karaage but have no chicken! It is no longer cold, but udon is my favorite and I might make this soon! Hi, if you cool down the contents of the bento box before closing it, how do you serve it at room temperature?- some boxes don’t look microwavable.